Looking for a healthy snack? I tend to be a night snacker and came up with this delicious dip! It's funny because now when I have calories leftover, I prefer this to any other kind of snack! 2. 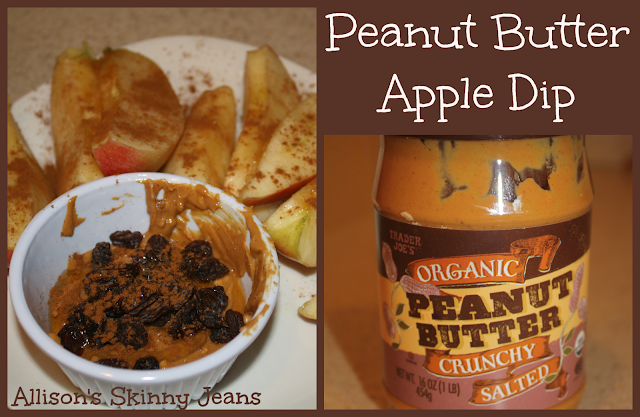 Mix the peanut butter, honey, and raisins together in a small dipping bowl. 3. Sprinkle the apples and the dip with cinnamon. You could add in a few dark chocolate chips and it would be even better!! ENJOY! 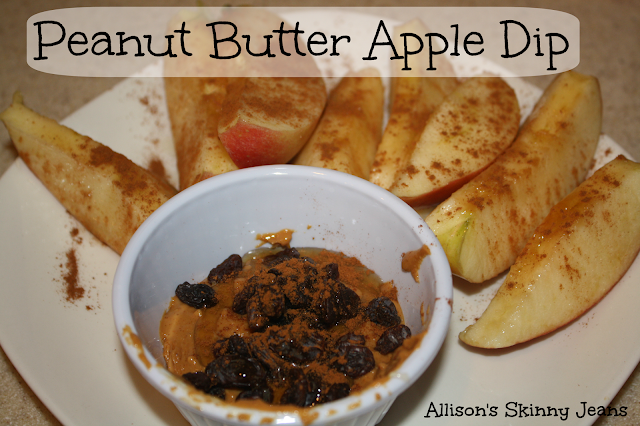 I love apples and peanut butter! I never thought about adding honey and raisins to the mix, though! I'll have to try this today :) Visiting from Two Girls and a Party linkup! This sounds really good! It's hard for me to come up with healthy snack ideas, so I appreciate this and your blackberry muffin recipe. Thank you for sharing them at What We Accomplished Wednesdays. Have a great week!